One Network has successfully partnered with government agencies in the U.S. and abroad to deliver cloud-based solutions via the Platform-as-a-Service model that have helped solve a wide variety of multi-party problems. Our work with the Department of Defense (DoD) is a prime example of the benefits of our cloud platform and the PaaS approach. One Network has successfully developed the world’s first real-time decision-making, multi-party cloud platform with innovative features and functionalities that provide an enhanced user experience. The Department of Defense (DoD) is made up of many service arms and agencies that must work seamlessly together in order to achieve optimal performance. The service arms are supported in both deployment and sustainment activities by the DLA,USTRANSCOM, OSD, and many private sector contractors, outsourced manufacturers, and service suppliers product suppliers. The result is that the DoD’s current operations operate in “silos”, which results in the buildup of over-sized inventories, extremely long lead times, limited service levels and cost inefficiencies. Traditional commercial off the shelf software (COTS) will not work for the service arms of the DoD because they offer a single enterprise architecture and single enterprise process approach that can’t meet the multi-enterprise, multi-echelon, requirements of the DoD. One Network’s cloud platform provides a purpose-built Defense Core module that can manage nearly any transaction and enables each service arm, whether it be the U.S. Air Force, Army, Navy or Marine Corps, to integrate closely with each other, as well as the DLA, USTRANSCOM and any civilian companies. The result is that all legacy systems are connected and the service arms have the ability to transact, execute and plan together. IUID Tracking and OSD Registry reporting. One Network’s work with the USMC resulted in the receipt of the Department of the Navy Information Management IT (DON IM/IT) Excellence Award. One Network’s many projects with the U.S. Government and foreign governments around world demonstrate the flexibility, cost-benefits, and power of our cloud platform and the PaaS approach. Schedule a time to speak to one of our government experts and we’ll work together to see how One Network can help you achieve your goals. 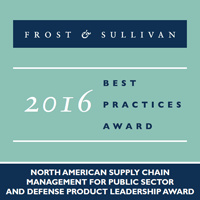 Visit our Public Sector and Defense Resource Library for complete information. With One Network’s Developer Network, you can build, manage, and deploy powerful multi-party applications. This unique development environment and framework enables organizations to quickly customize solution templates, and create entirely new innovative solutions, that run on ONE’s powerful Real Time Value Network platform. A brief overview of some of One Network’s projects in the public and commercial sectors, see some of the organizations working with, and benefiting from One Network.